Garry Marshall Theatre presents a masterpiece that reaches historic heights. April 3, 1968. Memphis. The Lorraine Motel. Room 306. Tomorrow, it will become the scene of one of our nation’s greatest losses. But tonight, it is just another stopover motel for Dr. Martin Luther King, Jr. Full of vivid theatricality, poetic language, and surprising twists, this drama takes us to the summit of a man’s historic life and offers a stunning new view of his dream for our nation. Garry Marshall Theatre and TodayTix are thrilled to bring you $20 Rush tickets to "The Mountaintop." Every performance day, on a first-come, first-served basis, a limited number of $20 Rush tickets will be made available. To unlock this feature, Garry Marshall Theatre simply requests that you spread the word on social media through our app. Mobile Rush will not be offered for the February 8th performance. Company may offer programs whereby the Company would make available certain features of the Services when you share information about the Services through an SNS or click on the “Unlock without sharing” button in the Application. 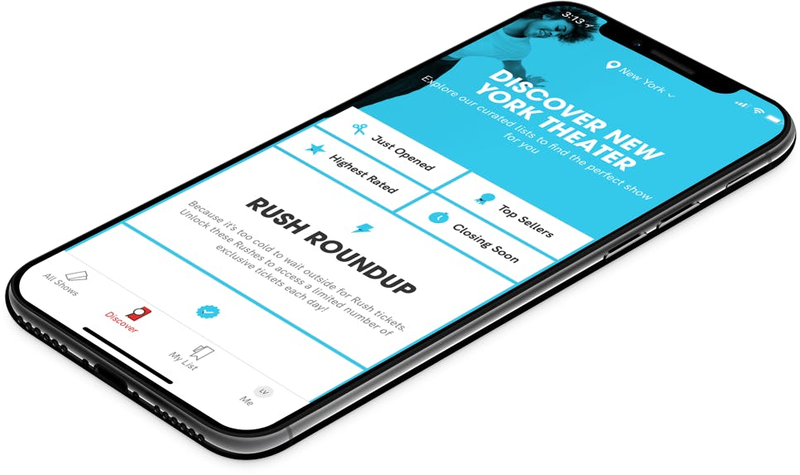 When you are considering purchasing a ticket for a specific show or after you purchase a ticket, if you select the “Share” button in the Application, Company will make available to you a personalized link to a Digital Property with text stating, for example, “Check out The Mountaintop on TodayTix! I’m thinking of going…” or something similar, which you may choose to share with your friends via SNS. Once you have shared the personalized link through an SNS using the Application or selected the “Unlock without sharing” button in the Application, Company will make available to you the RUSH feature, which will provide you with otherwise unavailable offers for tickets to live events occurring in the next week. The opportunity to take advantage of these offers is only available to users who share a personalized link to an SNS through the Application or select the “Unlock without sharing” button in the Application.